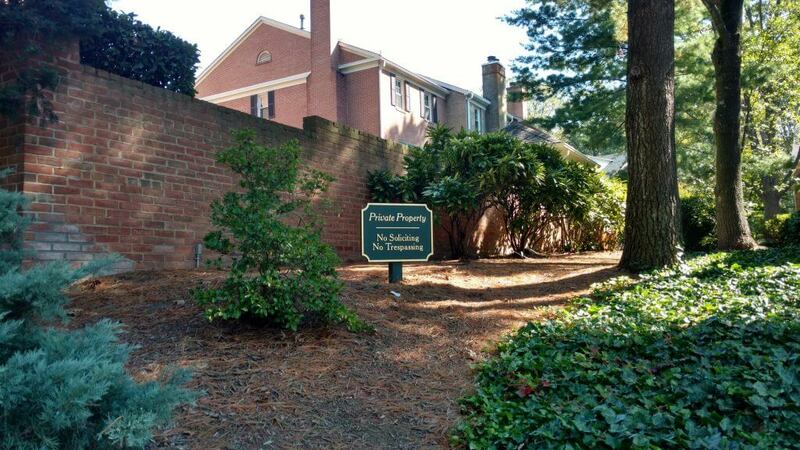 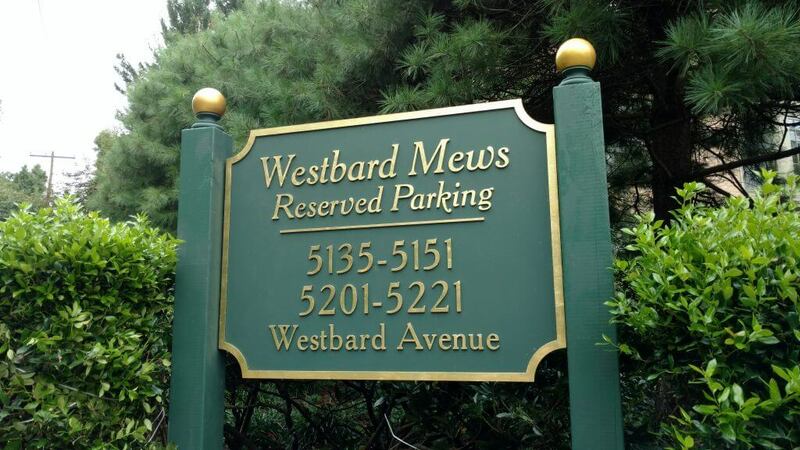 Lovely routed HDU signs for Westbard Mews in Bethesda, Maryland. 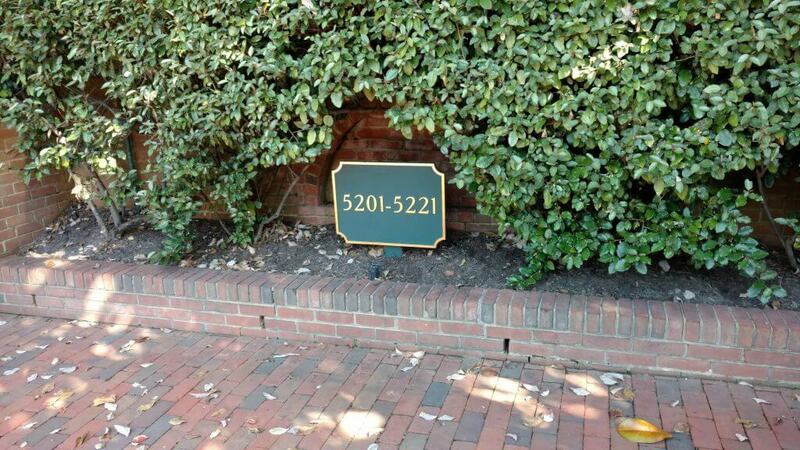 Four like entrance signs and other address way finding signs around the property as well. 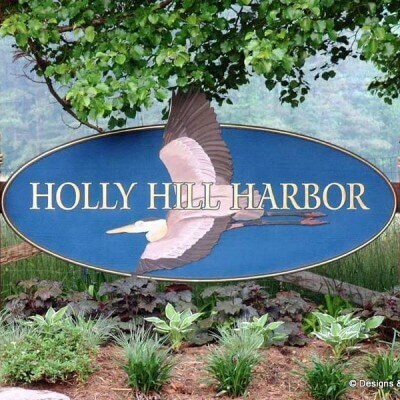 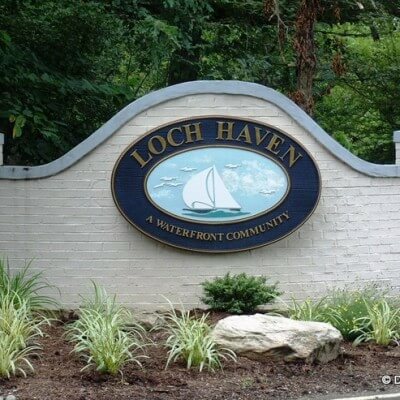 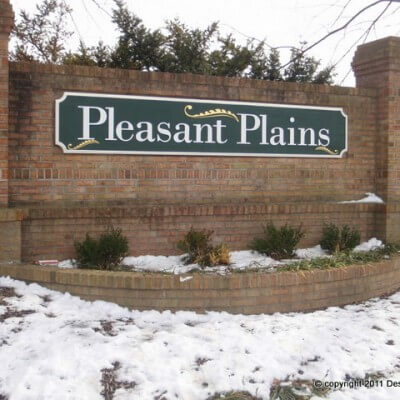 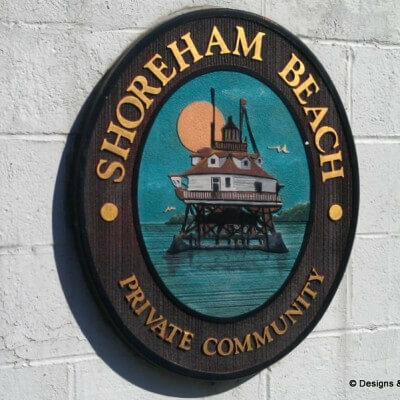 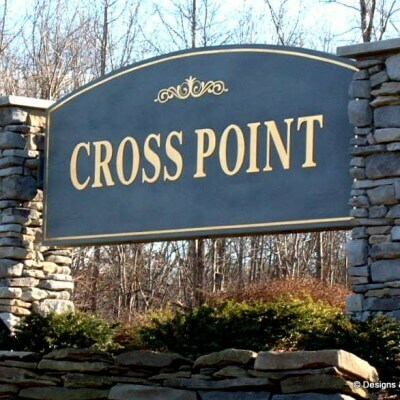 Let Designs & Signs handle your next community entrance sign projects. 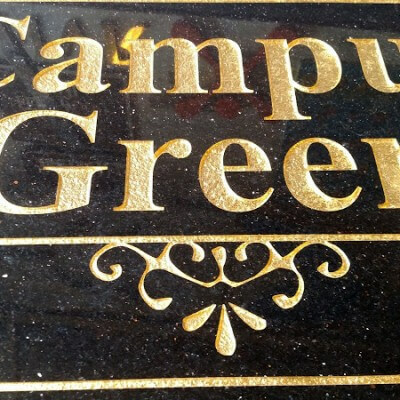 We’ll create original layouts for you and manufacture your signs using only the best materials available. 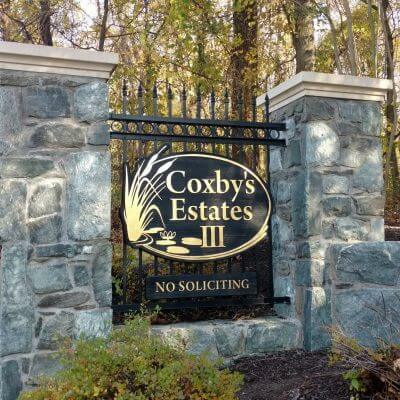 Routed HDU Signs Look Great with Gold Leaf Letters! 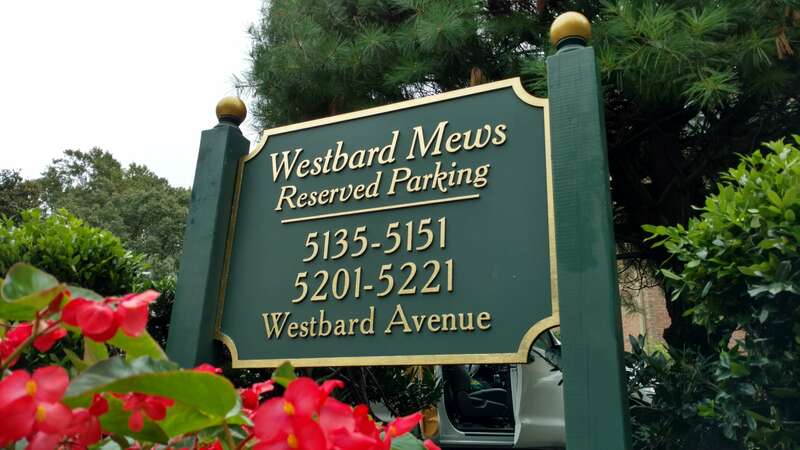 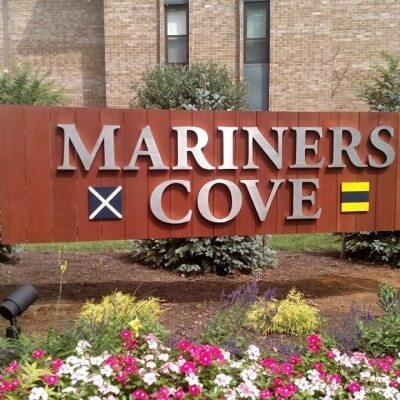 Routed HDU signs (high density urethane) community entrance signs for Westbard Mews in Bethesda, MD. 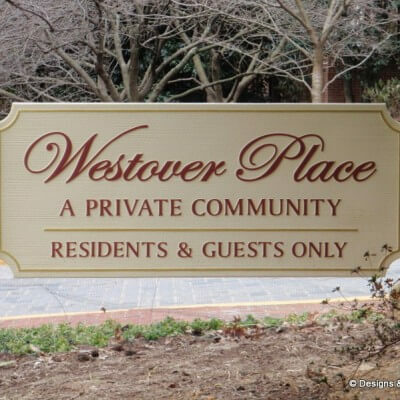 These community entrance signs have a smooth background which can only be achieved with a router. 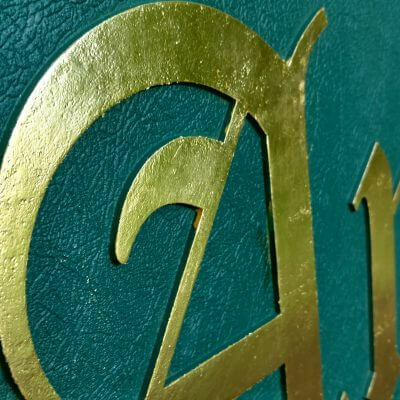 The raised letters are finished by hand with 23 karat gold leaf. 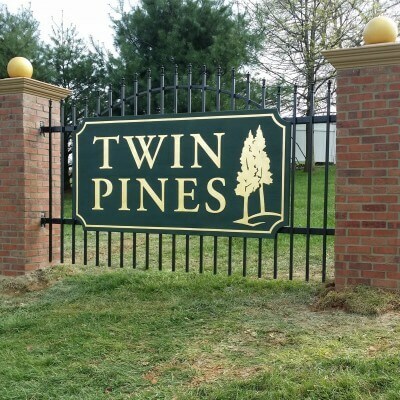 The posts are 6×6 inch treated lumber and there are 2×4 inch treated lumber stringers behind the sign faces to give them additional support. 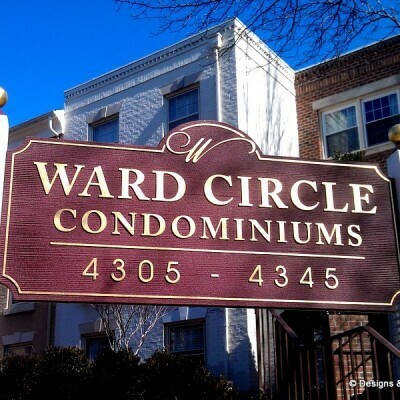 All of the hardware used is stainless steel to prevent corrosion from the outdoor elements. 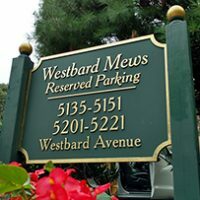 The signs and posts are painted with exterior latex. 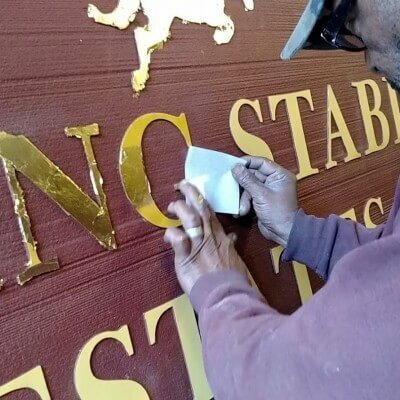 The decorative ball finials are painted with exterior latex paint, and then the balls are finished with 23 karat gold leaf.